I often carry a hand sanitizer with me while going out, but I seldom carry a hand cream. Rather to be honest I don't own a single hand cream till date. I do apply body lotion on hands but often forget to take care of them. You bet I have even applied a mask to my hands in ages. Talking about a hand sanitizer and moisturizer from Dot and Key in today's post. The packaging is cute and handy to carry. 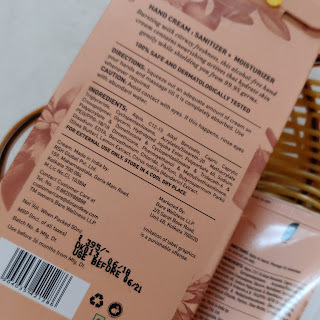 Packaging is similar to the overall packaging of Dot and Key brand with pastels and light colored theme product packaging. 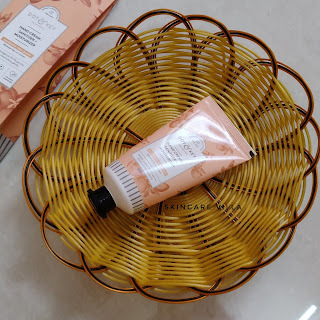 The tubs packaging is good to use since most hand creams have tub packaging which I don't prefer. The cream has a subtle fragrance which is citrus and not too overpowering or lingering. I like how the fragrance isn't strong and non lingering as well. Coming to the consistency of the hand cream it's more of thin consistency and light weight in texture too. 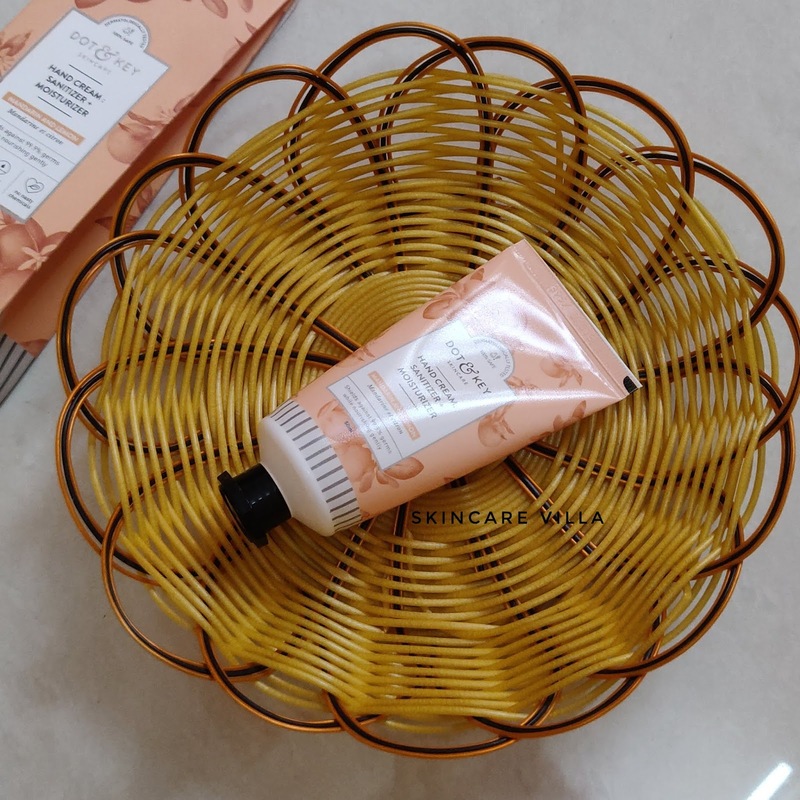 The hand cream is more on the hydrating side rather than the moisturizing side. It spreads easily on the skin and gets absorbed even more quickly as we slather it. Now the main part, the brand claims this hand cream to be a sanitizer plus moisturizer for hands as am not so happy with this. 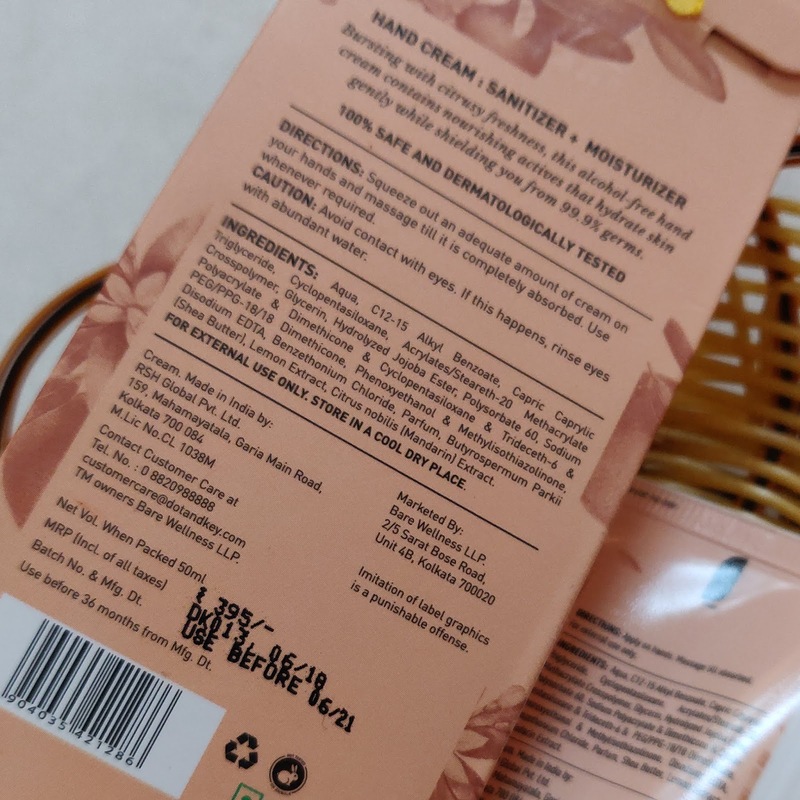 A normal sanitizer itself has many chemicals and when it comes to moisturizing the hands I prefer a normal hand cream or body lotion. 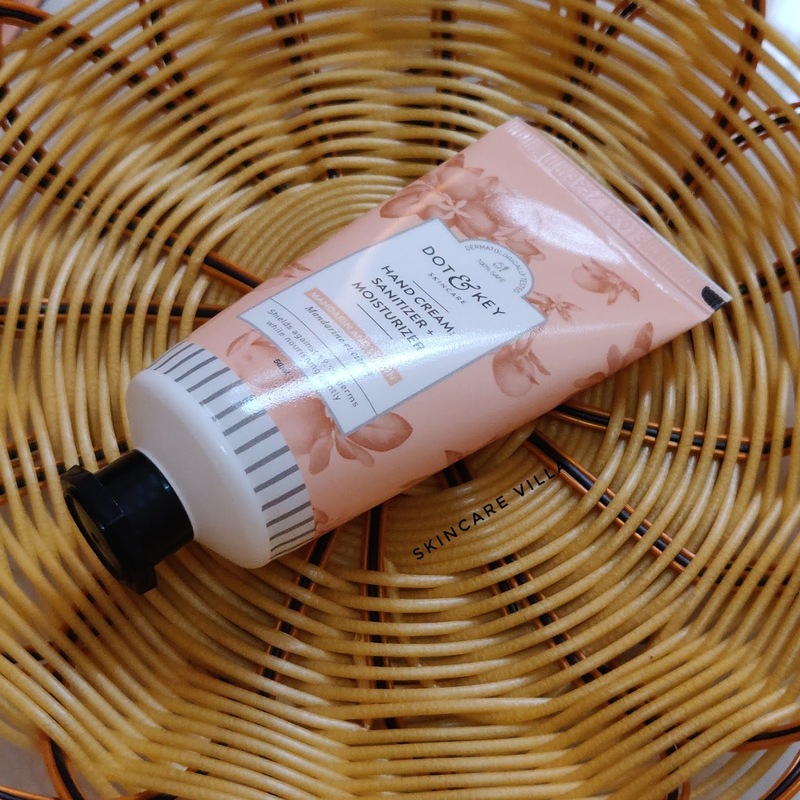 However the hand cream is a rescue when you don't carry a sanitizer or forget to carry a separate hand cream. Especially during travels the product can be very useful since it doubles up as a sanitizer as well as a moisturizer for hands. 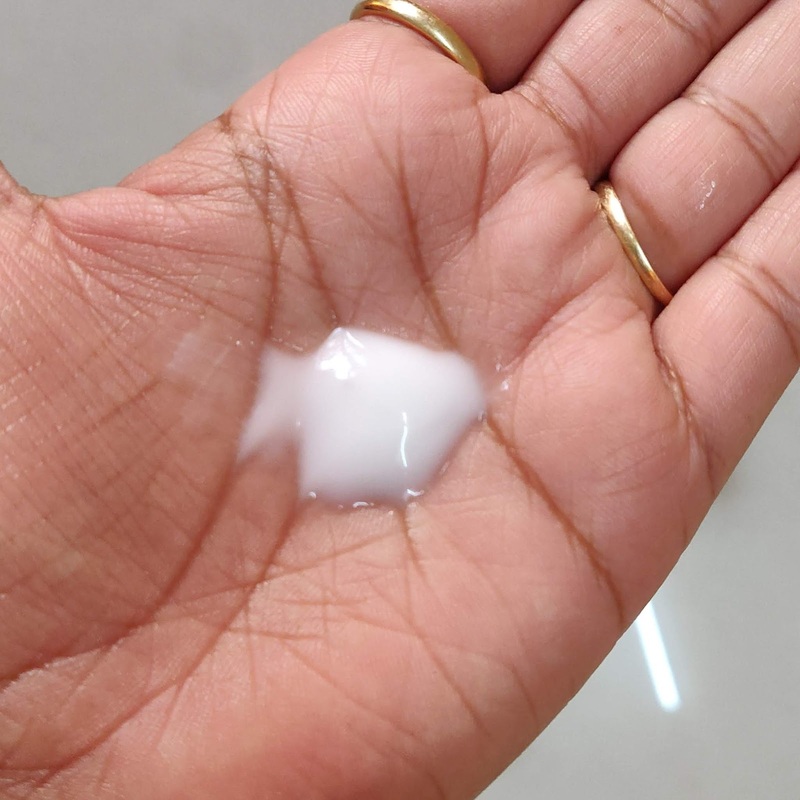 The moisturizing effect lasts for about 2-4 hours depending on how often you wash your hands on how frequently do you use a hand cream. I would recommend the Dot & Key Hand Cream: Sanitizer+Moisturizer as a travel companion rather than a day to day product. 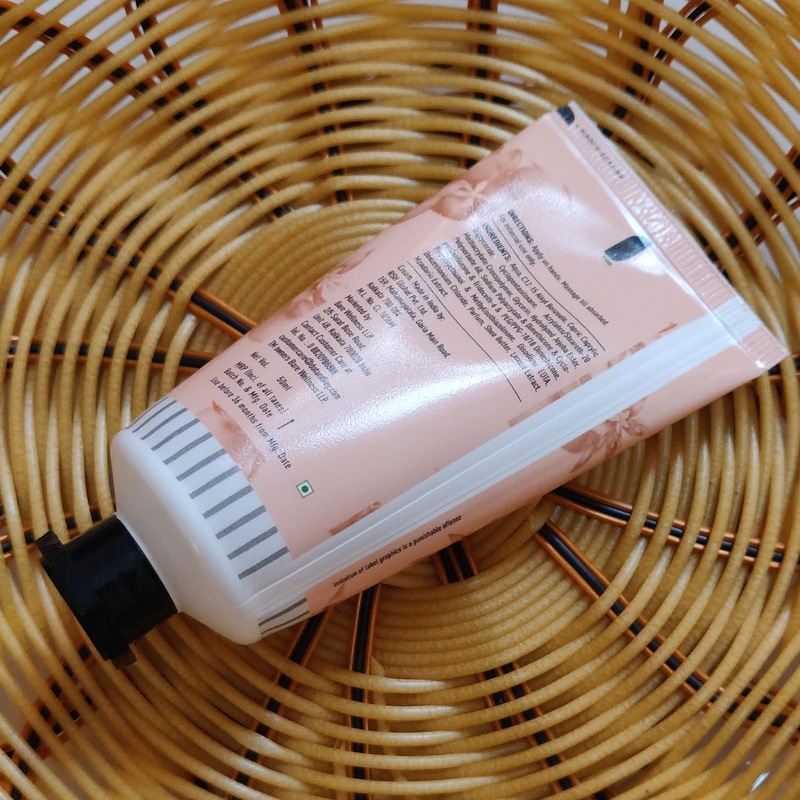 Dot & Key Hand Cream: Sanitizer+Moisturizer is good option as a product since it serves dual purpose of sanitizer as well as moisturizer for hands. This especially comes in handy while travelling since we tend to carry light during travels. I would recommend the Dot & Key Hand Cream: Sanitizer+Moisturizer as a travel companion rather than a day to day use product.